This road plate is an alternative to steel and wooden plates. It is a modular system of singular linking units. This grp road plate trench cover is suitable for 44 tonne vehicles over a 700mm trench. 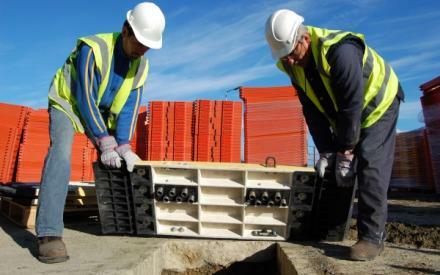 For larger trenches check out the LowPro 23/05 Road Plate. No need for expensive specialist lifting equipment, the LowPro 15/05 is installed manually with two people. The EasiLift handlebars slot into the road plate allowing sections to be moved quickly. Unlike steel plates, the LowPro road plate range has gravity drop pins in each section. 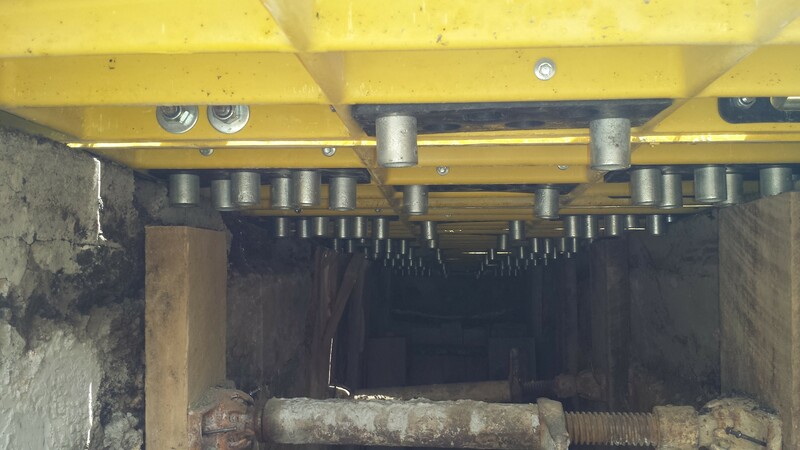 These zinc plated pins will drop into the trench to secure the road plate’s position. The anti-slide technology, on the underside and edges of the Road Plate, is made from a soft, flexible, rubber material which grips the surface reducing unwanted movement. Rubber edges can be replaced to extend the life of your LowPro. 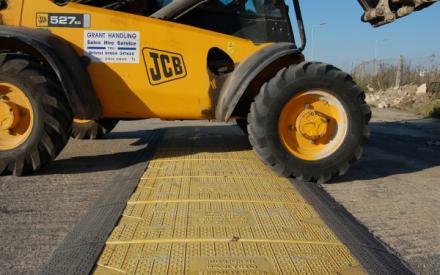 The anti-slip surface provides secure access, and hi-vis yellow alerts drivers to reduce their speed. The Road Plate is currently used in highways, street works and utilities sites. The innovative and patented Flexi-Edge reduces noise pollution, making the LowPro 15/05 Road Plate also ideal for residential areas. The 15/05 LowPro must be bolted down with end sections for carriageway use.